One month after his alleged role in murdering his girlfriend’s other lover in February 2017, Bryan T. Gentry created a phony proof-of-coverage certificate from the Ohio Bureau of Workers’ Compensation (BWC) to land a tree-trimming job and avoid paying for actual coverage. 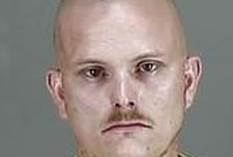 The Stark County man’s handiwork earned him a one-year prison sentence May 24 when a Summit County judge found him guilty of tampering with records, a third-degree felony. On the same day, the judge also found Gentry, 27, of Canal Fulton, guilty for the second-degree felonious assault of an Akron man last year, a crime apparently unrelated to his BWC case or to one involving a deadly love triangle. The judge gave Gentry three years in prison for the assault charge, to be served concurrently with his sentence for tampering and still another prison sentence he earned in December for receiving stolen property. Police tracked Gentry down last year after finding his mail in a stolen truck. In the BWC case, Wernecke said a customer of Gentry’s tree service contacted the agency last summer after he suspected Gentry’s BWC certificate wasn’t legitimate. Two clues tipped off the customer, an insurance salesman: The certificate lacked a policy number, and Gentry noted a policy period of one day, “3/10/2017 through 3/10/2017.” BWC’s practice is to note a full policy year, such as 07/01/2016 through 06/30/2017. BWC agents determined Gentry doctored a relative’s certificate to look like his own so he and his six workers could get the job. Agents interviewed Gentry on Jan. 31 at the Lorain Correctional Institution in Grafton, Ohio, where he lied and denied forging the certificate, but was “soft-spoken and very well-mannered” while doing it, they said. Two days later, Gentry’s life got more complicated. Acting on a tip from Gentry’s girlfriend, Stark County authorities recovered the body of 25-year-old man from the backyard of his Massillon home. They found him in a plastic tote, encased in concrete and buried six feet below ground. For more on that case, see these articles in the Massillon Independent and People magazine. Gentry has since been relocated to the Richland Correctional Institution in Mansfield.